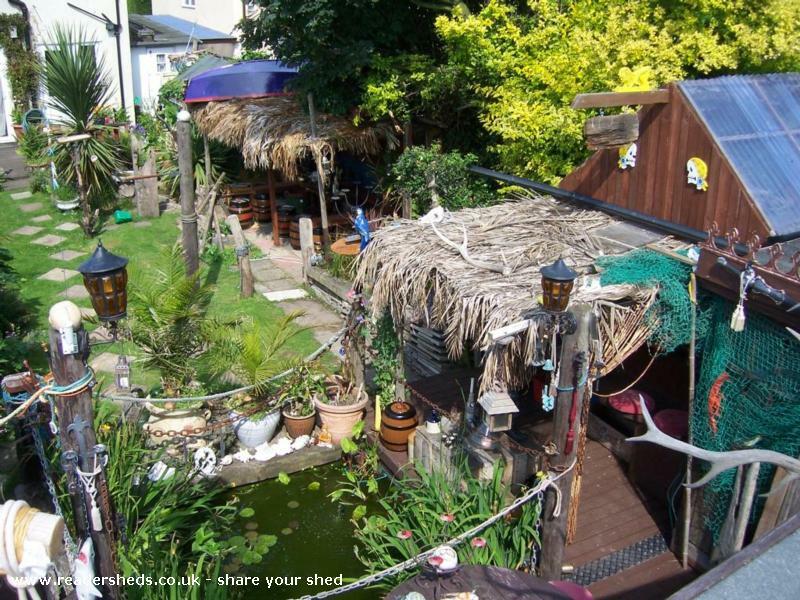 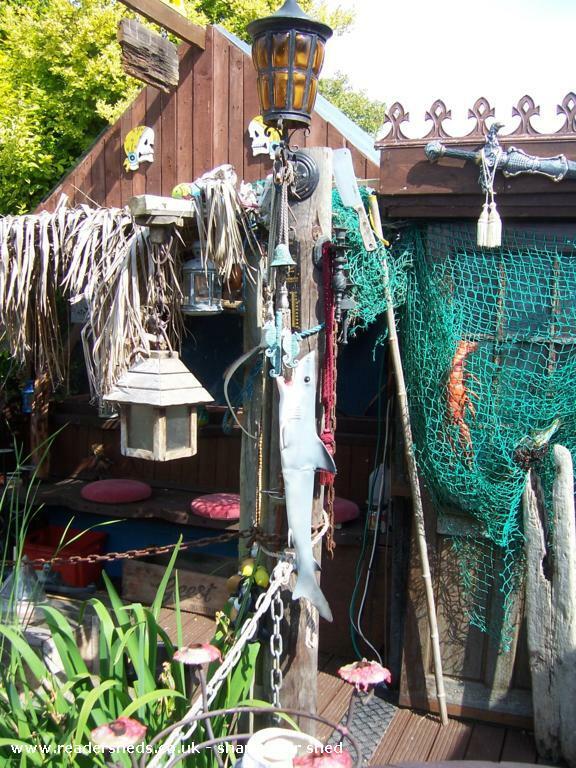 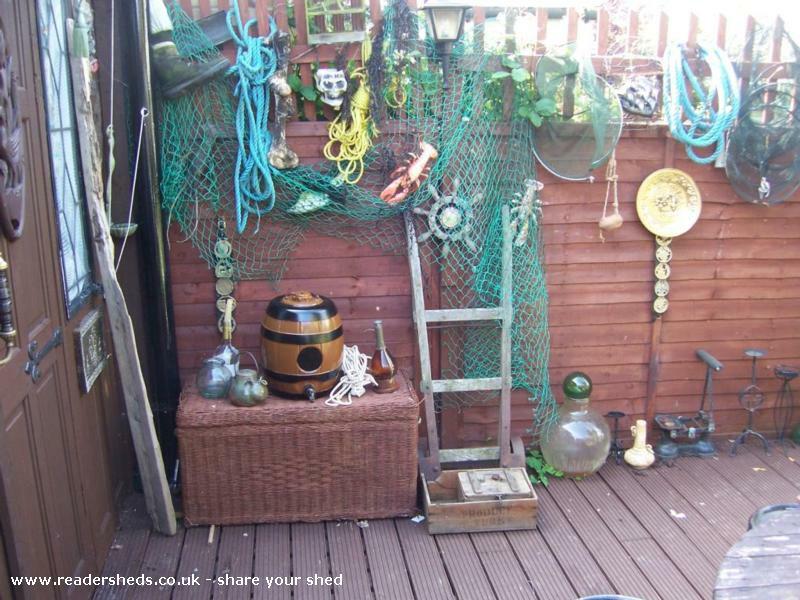 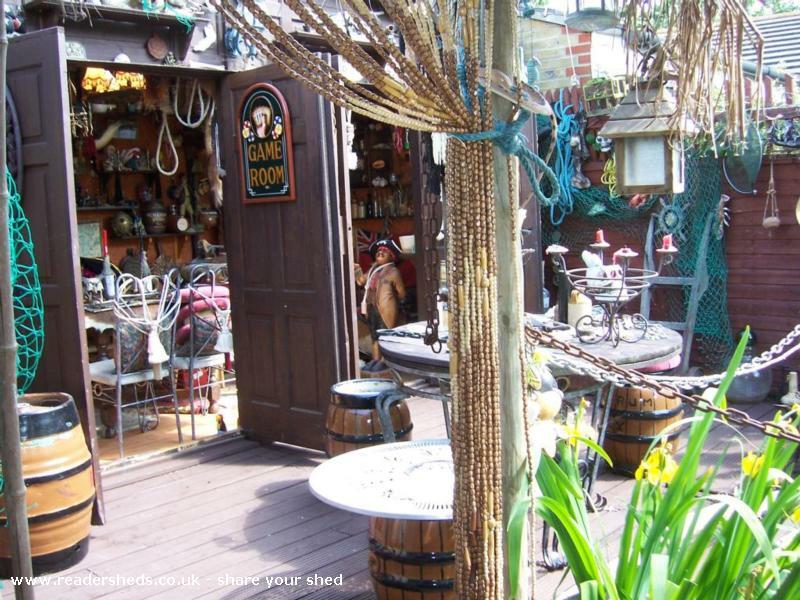 My shed is a purpose built pirate's cabin built to look like the poop deck of a pirate ship moored at a Caribbean dock, complete with fully stocked koi carp pond and aviary - for those long hungry voyages! 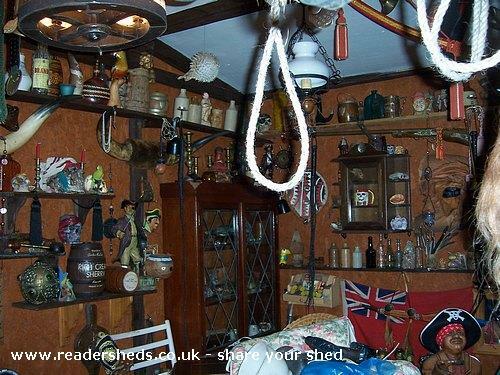 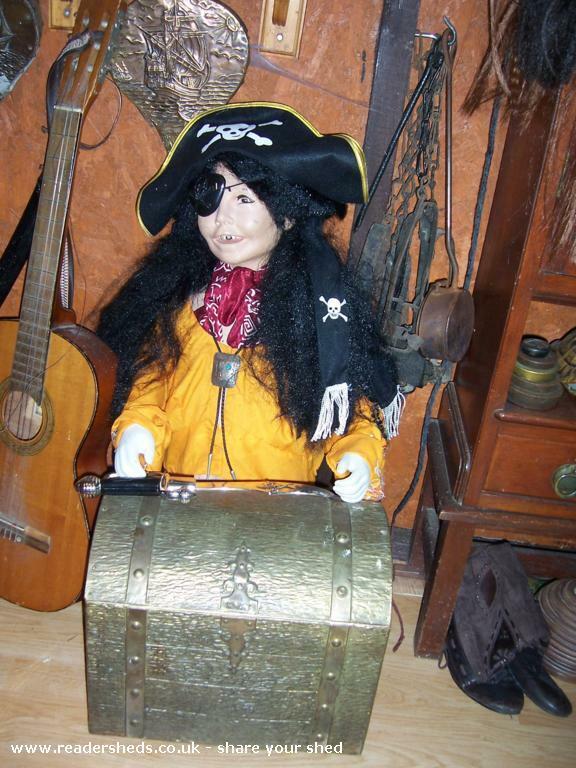 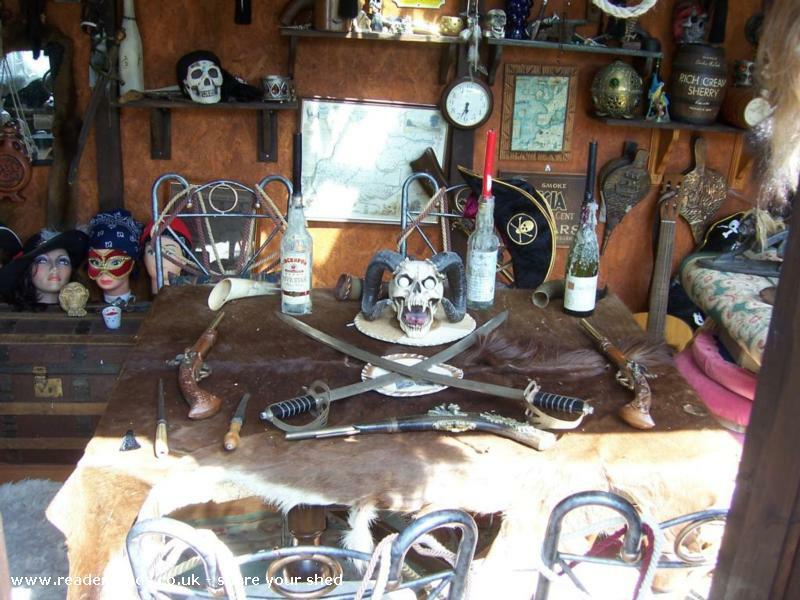 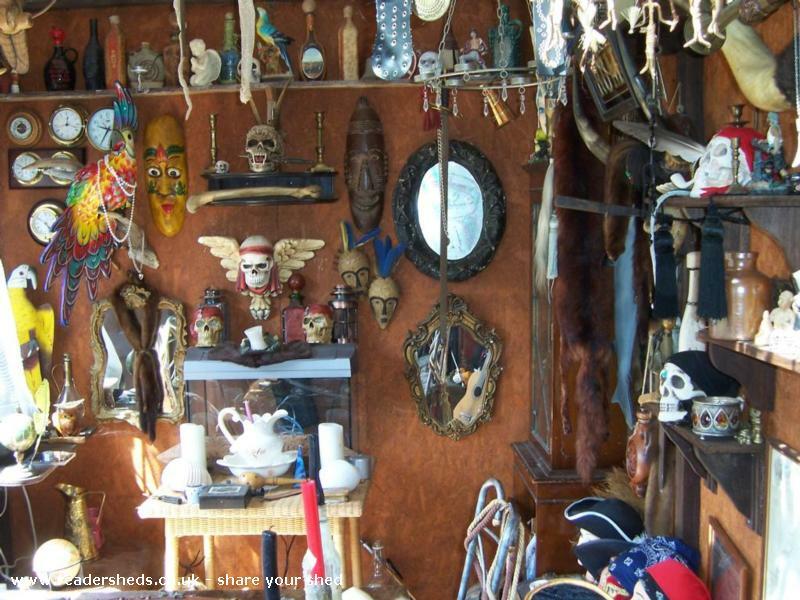 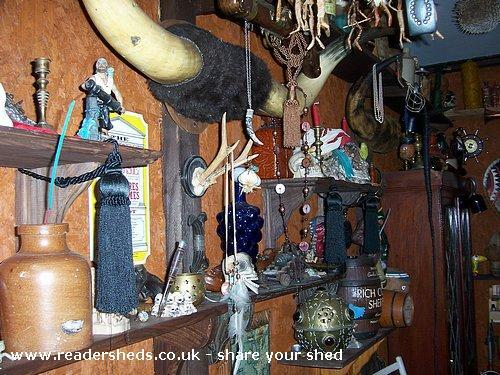 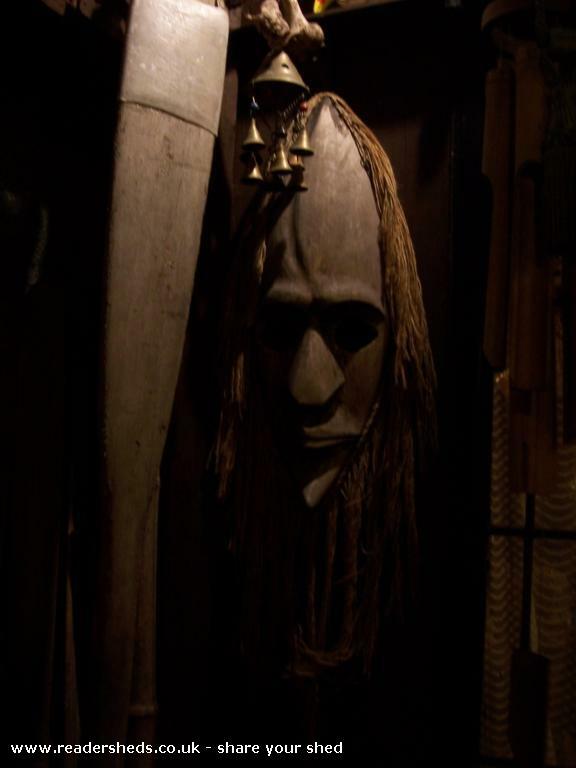 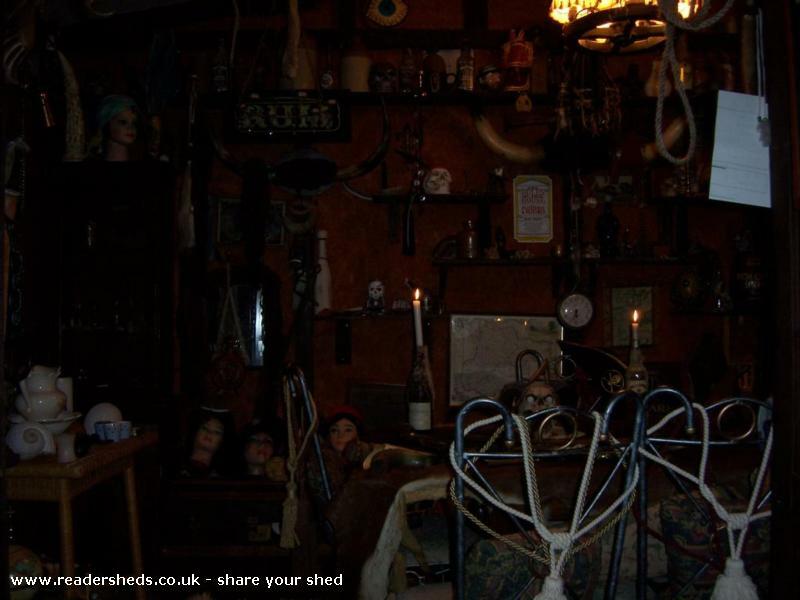 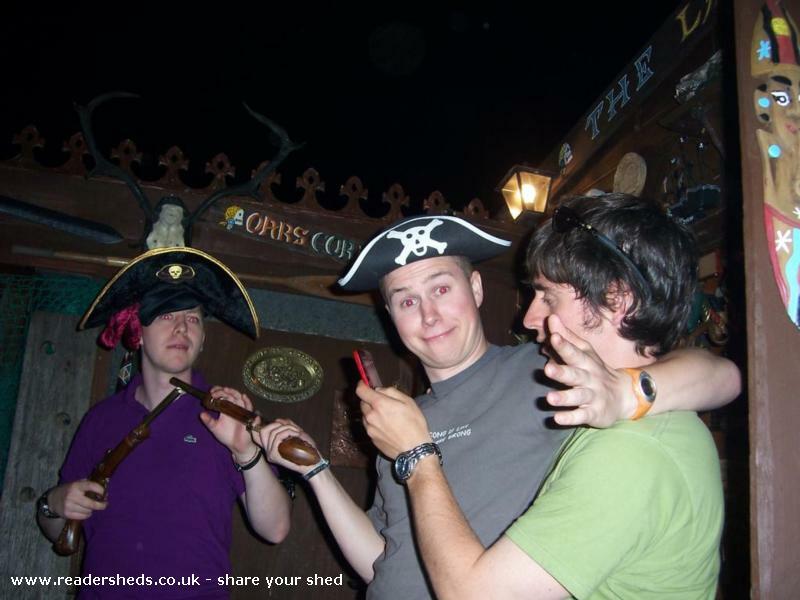 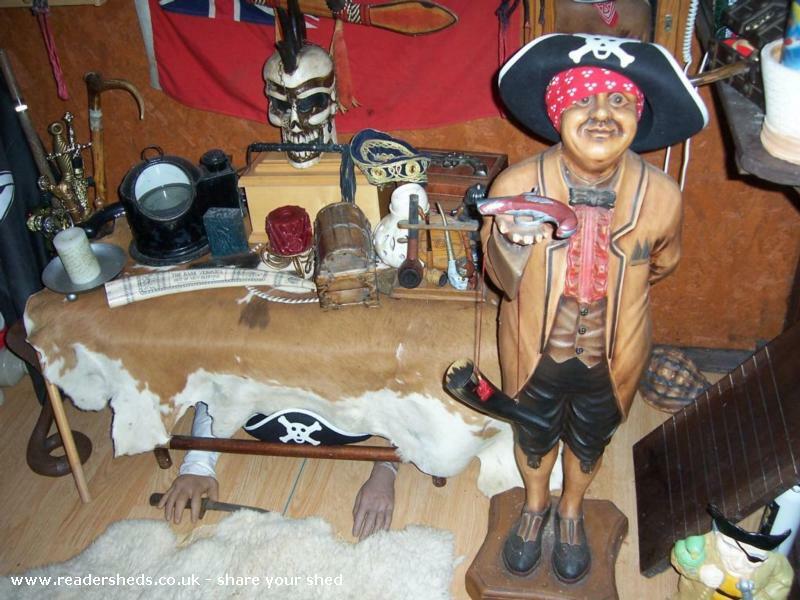 The inside of the shed is equipped with a full range of piratannical ephemera, including skulls, crossed bones (courtesy of a friendly butcher) and a dead man's chest. 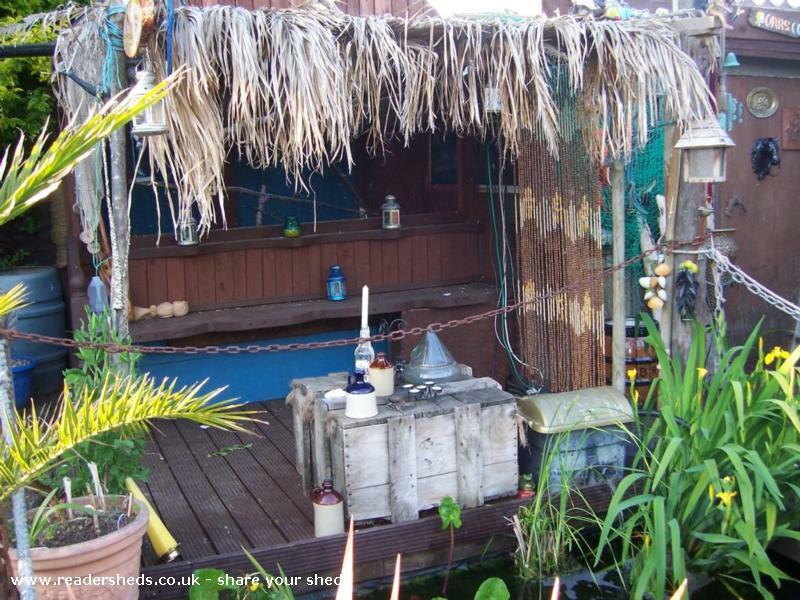 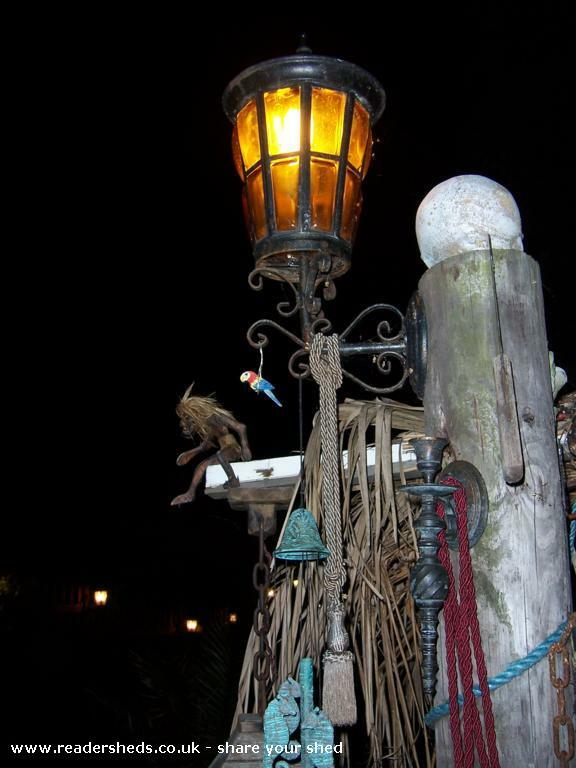 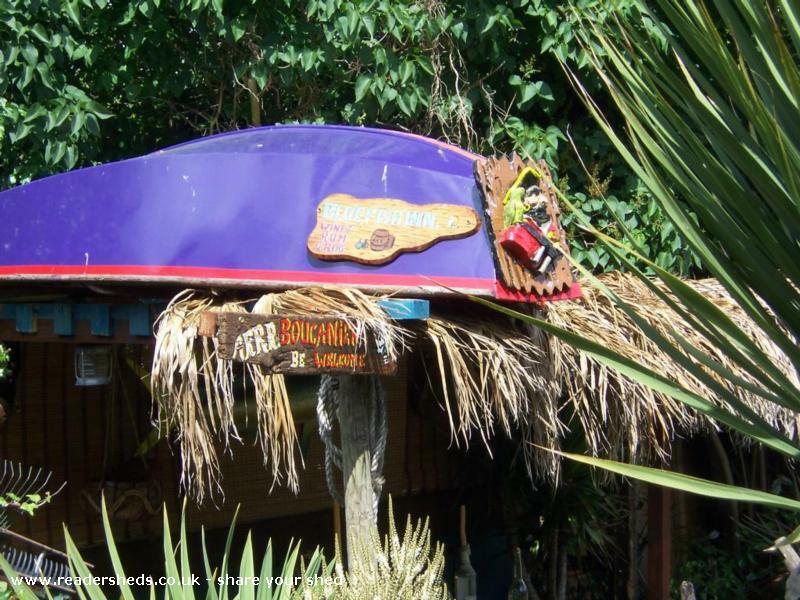 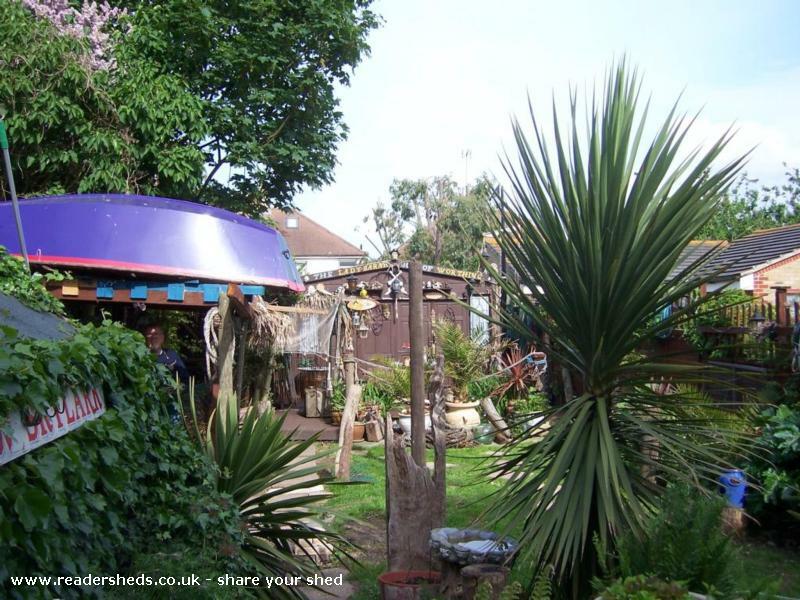 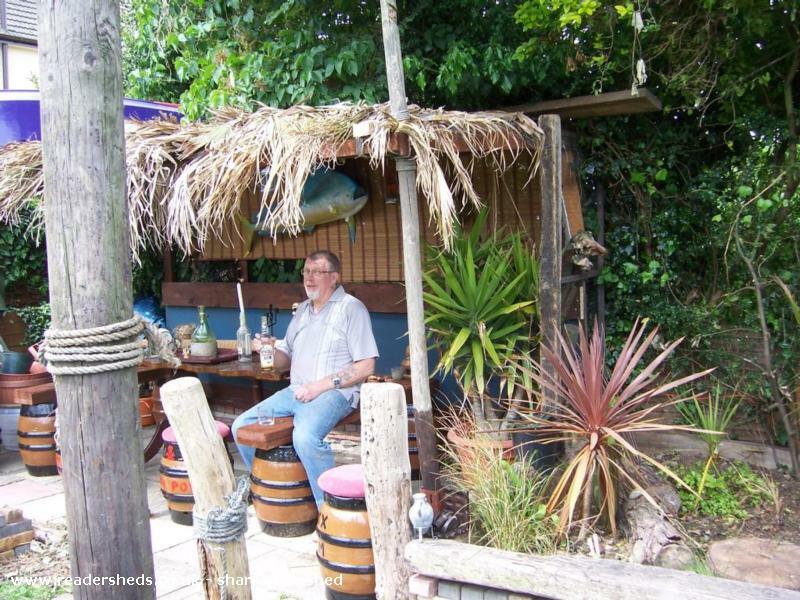 Outside the shed there is plenty of space for pirate roistering and carousing amongst the tropical plants and under the palm thatched lean-to. 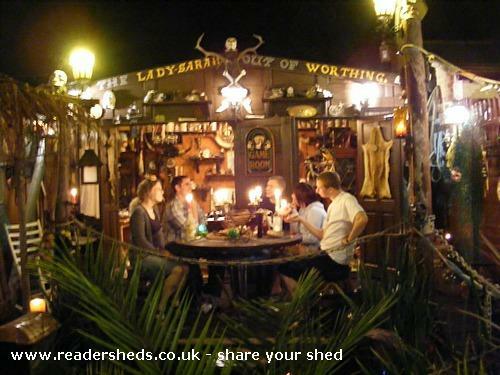 The front of the shed opens completely to make the most of the evening sun and provides a suitable location for card playing, rum drinking and bad behaviour of every kind. 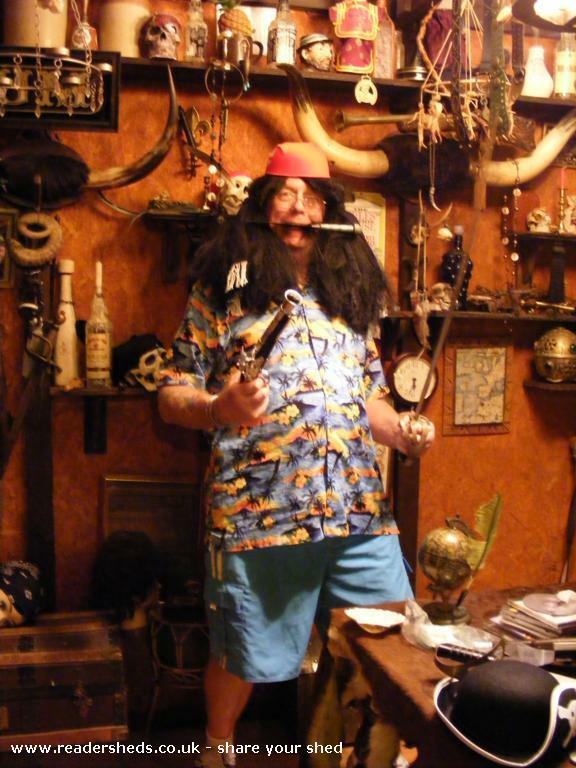 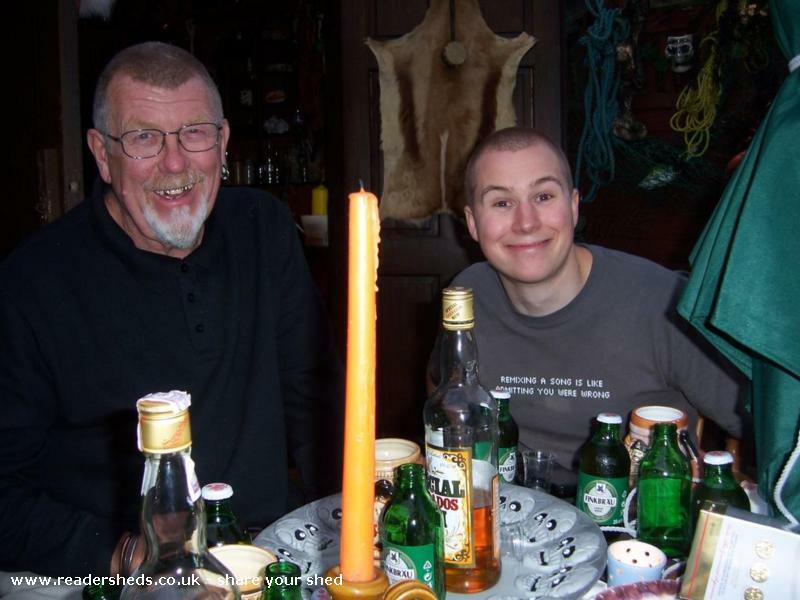 The large number of empty rum bottles doubling as candle sticks provides evidence of this. 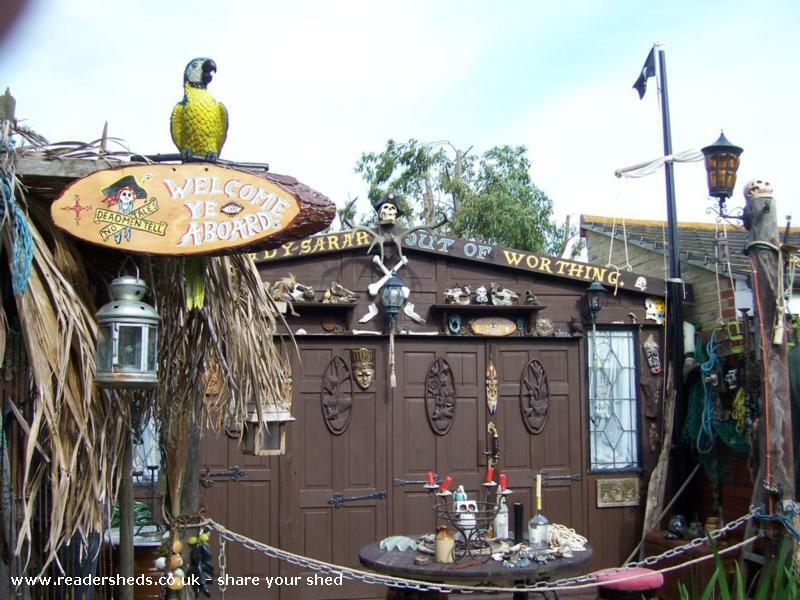 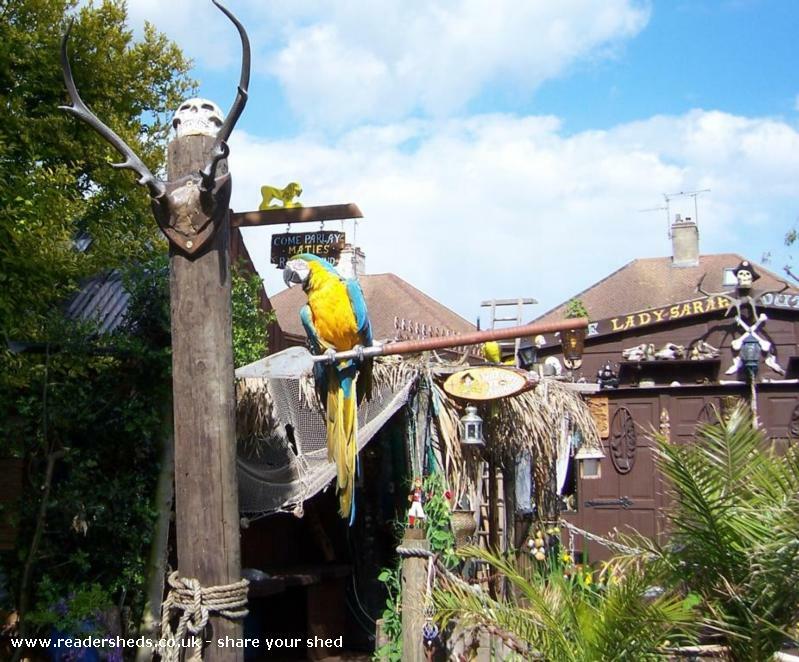 The pirate cabin is entirely constructed from recycled and reclaimed materials, including the front, which consists of panelled doors rescued from skips over a period of months. 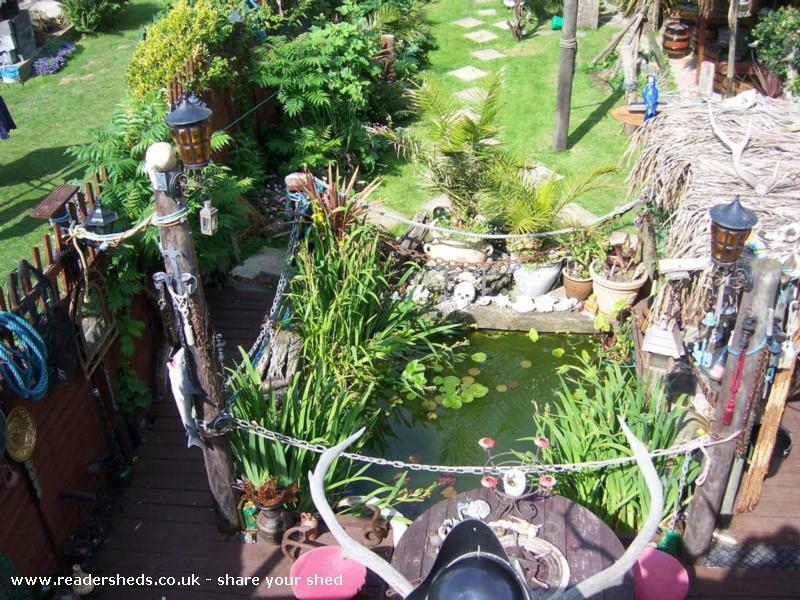 This has been my own project apart from a family shed-raising in the early stages and some help with the pond digging. 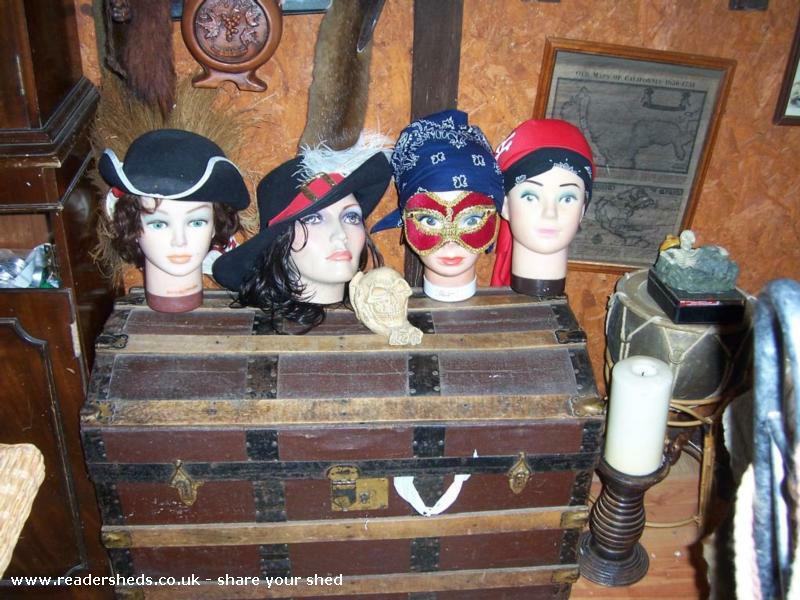 Stall holders in local boot sales now save pirate ephemera for me, knowing it will go to a good home. 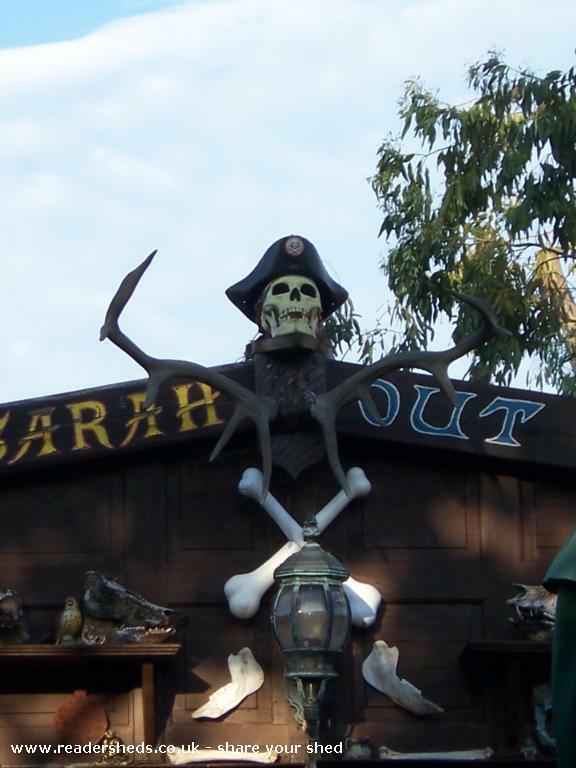 The dimensions are 16' wide x 8' deep and 10' 6" apex.